You might think edibles are your only option for cannabis relief when you don’t care for the taste or smell of cannabis flowers, but here at FARM we have plenty of other great choices. One of our favourite products is the cannabis tincture, a therapeutic, infused concentrate that delivers all the fantastic health benefits of this great plant in a bottle and dropper! Cannabis tinctures are oil or alcohol-based (“infused”) extracts made from cannabis flowers. Back before cannabis became persona non-grata in the 1930s, tinctures were a popular way to ingest the all-natural medicine. Today, cannabis tinctures are an excellent choice for treatment that doesn’t require smoking or baking. In addition to being an excellent beginner-level cannabis treatment thanks to easy dosing (more details below), tinctures can last for years when properly stored in a dark, cool cupboard, and are low in calories – something that can’t be said for most edible products! Tinctures are hugely versatile. Not only can they be used straight out of the bottle, applied sublingually beneath the tongue, but they can be added to practically any drink or food, from juices and soups to salad dressings and sauces. Unlike edibles, for which exact dosage can be difficult to determine thanks to uneven dispersal and other factors, tinctures make it much simpler to know exactly what potency you’re going to get. At FARM, all our bottles display the precise amount of THC or CBD delivered in each and every milliliter. In this way, you can start small (as little as 5mg of cannabinoid per ml) and work your way up as your tolerance improves. 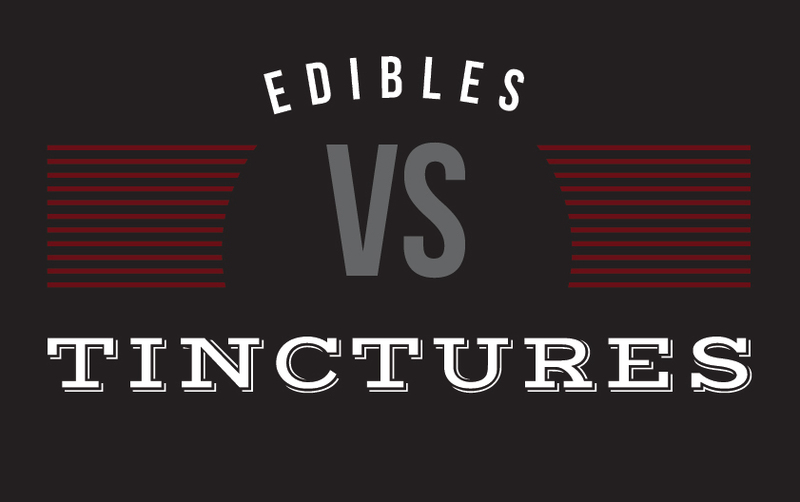 Tinctures also differ from edibles in the speed with which they kick in. Whereas a bite of brownie could take between thirty minutes and two hours to take effect, tinctures that are taken sublingually start working their magic in as little as 15 minutes. When applied sublingually, it’s best to let the liquid sit beneath your tongue for a while before swallowing – it’s the thin tissues of the mouth that enable the quick delivery of cannabinoids to the blood stream. Tinctures come in small, discreet bottles, and give off no smell when the lid is closed. They are easy to take subtly, at your desk or during a trip to the washroom. What Can I Treat with Cannabis Tinctures? Just like cannabis flowers, and other concentrates such as capsules, phoenix tears, shatter, and hash, cannabis tinctures can be used to treat many different symptoms and conditions. They can incite energy or relaxation, focus or sleep. Individuals struggling with chemotherapy treatments use tinctures to reinstate their waning appetite and curb nausea. CBD-rich cannabis tinctures address everything from inflammation caused by osteoporosis and arthritis, to anxiety, depression, and epileptic seizures. Those high in THC can ease chronic pain and stress, and even help recovery from substance dependence. At FARM we offer a fantastic selection of cannabis tinctures to help you deal with almost any imaginable symptom. Medi Bloom: Charlotte’s Web features sky-high non-psychoactive CBD, which keeps you focused and relaxed, and can turn depression on its head. Our FARM brand THC Tincture boasts 35 mg of THC per milliliter, for individuals with a high tolerance in need of serious relief from pain, stress, and the symptoms of glaucoma and cancer. We even sell a CBD tincture formulated especially for pets, with natural bacon flavour! If you want to experience the relief cannabis can bring using something easier to moderate than edibles, we encourage you to try a cannabis tincture. Come by our Victoria BC Cannabis Retail Store to speak to a staff member, or contact us online to discuss the best product for your individual needs.